Over the last several years, Internet speeds and Wi-Fi have improved significantly. Across the board, data speeds are faster and wireless connections are more reliable than ever. Unfortunately, this doesn’t come without issues. Once you’ve set up your Wi-Fi in your home or workspace, here are some very common issues you may run into and how to correct them. Despite the fact that Internet speeds are at an all-time high and now reaching most homes around the globe, wireless networks can still easily encounter problems. If your Internet connection is still working but the speeds are slower than normal, there is usually a logical explanation. Cause: One of the most common sources of this issue typically involves being too far from the router. The further you are away from the router, the more unreliable the connection and its throughput will become. Fix: To fix this, just get a little closer. Try staying in the same room as the router to see if it fixes the issue. If the issue remains consistent, try positioning your router higher up (on a shelf, for instance). Also, keep your router away from other electronic devices, as they can cause interference with the Wi-Fi signal. Cause: A lack of bandwidth can also be an issue for slow connections. The more people that are connected to the Internet using data consuming devices, the slower your Internet speed is going to be, as it is being spread thin and shared across multiple devices. Fix: The problem could lie in your Internet speed being able to support multiple devices at once. So in this scenario, disconnect any devices that you aren’t actively using. Also, make sure your Internet connection is private, as a nearby neighbor could be leeching off of your Internet connection. Cause: Interference, especially in crowded areas, can be a real issue. When most people get their Internet first set up, settings are sometimes left unchanged, meaning that wireless frequency channels like 1,6 and 11 can become very crowded. Fix: Fortunately, many newer model routers are capable of automatically selecting the least crowded frequencies upon rebooting. To avoid this, perform a power cycle on your router, or log into the admin panel and manually select a different channel. Cause: During peak hours of usage, Internet speeds can slow for everyone, especially in crowded areas. Fix: When this is the case, all you can really do, if possible, is to try and reschedule your usage outside peak hours to get the best speeds possible. Cause: Over the last 10 years, wireless technology has changed quite a bit. Because of new wireless standards that have been put in place, Internet speeds are now faster than ever, fiber is being offered in more areas, and devices you never thought would require an Internet connection need Wi-Fi (ex: televisions, speakers, refrigerators, printers, lights, etc.). In these cases, the problem could easily be an outdated router. Fix: If you believe that the limitation lies with the router, it might be time to start saving up for a new one. By upgrading a router every two years or so is good practice and can help you avoid certain and future issues altogether. Cause: Every now and then, something glitches and the router and modem cease communication with one another. There isn’t always an explanation for this, because sometimes, it just happens. Fix: When this scenario comes to light, the best place to start is by simply pulling the plug. Disconnect the modem and router from power and wait at least 30 seconds, then restore power to both. Cause: For most people, one of the most common problems that occurs with Internet is the connection dropping completely; not necessarily due to a hardware issue, but rather a massive service outage. Fix: When this scenario arises, unfortunately, there is not much you can do. Sometimes, an outage just happens, and the best thing that one can do is to get on the phone with your Internet provider and let them know that an outage has occurred. Difficulties in your Wi-Fi connection can range anywhere from a simple fix to being a complicated problem with no rational explanation. 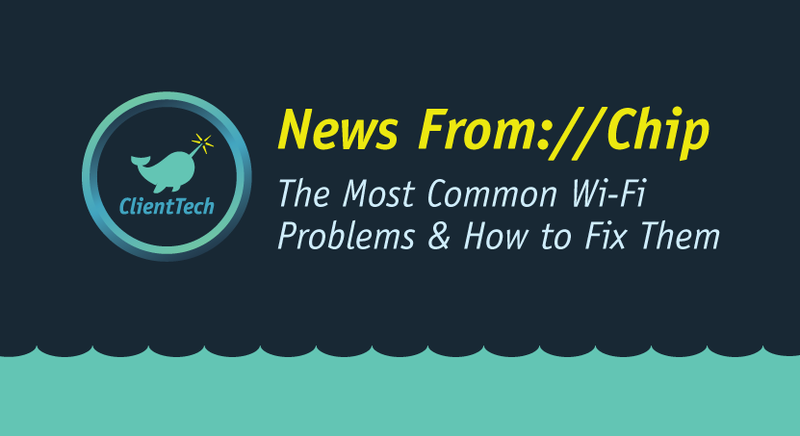 Unfortunately, there are Wi-Fi problems that occur that are more complex than others. That’s why our team here at Client Technology Services, LLC is always here to help out, from simple to complex issues. 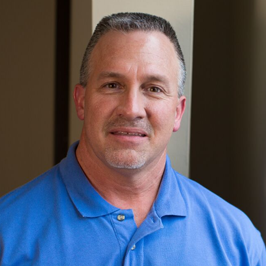 For more information, or to discuss your specific IT issues, contact Client-Tech today at (225) 753-6682 or steveb@client-tech.com, we can walk you through on the phone or even set up a consultation.